Mark and I would have loved to have made the trip to Geneva. 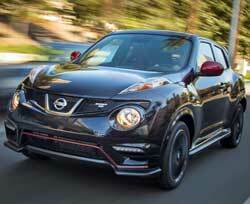 Plenty of announcements, like the 2016 Nissan Juke. Don’t get all excited here because it still looks weird. Read more here. Maserati unveiled the Alfieri, a 2+2 concept car, a 100% functional prototype that says much about the design DNA of future Maseratis. I think this looks so much better than what Maserati has out now but still like a lot of other cars. McLarens on the other had have a look all to themselves. I got to sit in one at the Chicago Auto Show. Introduced at Geneva is an open-top 650S joining the 650S coupe. Boy would I love to have one of these. 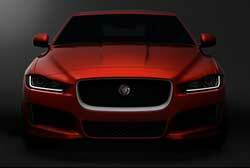 Jaguar confirmed the name of their all-new sports sedan coming to the U.S. in 2016, the XE. Another car on my list I would love to own simply because it’s a Jag. Last but not least is Jeeps new entry into the small SUV segment, the Renegade. Great name from the past and I hope it lives up to it. I really like the styling but will wait to give it my blessing until I have a chance to drive one. This will be the first Jeep not built in Toledo or Detroit since the hookup with Fiat. The final assembly location for the Renegade will be at the Melfi Assembly Plant located in Italy built off a Fiat platform. We’ll see. 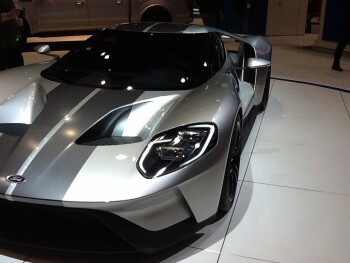 OK, I’ll admit it, the Chicago Auto Show blew me away. Lots of cars and especially lots of cool cars, some that were just ideas. The Chicago Auto Show is in McCormick Place and has one million square feet so they can pack a lot of cars in while Milwaukee’s is in the much smaller convention center. 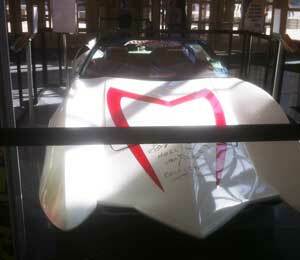 Not making the trip up to Milwaukee included Toyota’s Ft 1 concept car (left). 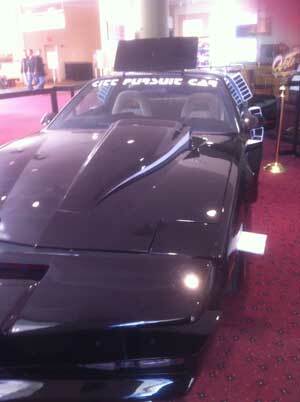 But to make up for that, Milwaukee had cool cars you normally would not see like the K.I.T.T. movie car and a street-legal version of Speed Racer (far right) brought up from the Volo Auto Museum, just down the road from Milwaukee in Volo, IL. I was wondering with a smaller building how Milwaukee was going to handle the space needed for Camp Jeep, and the answer is they set the track up outside on West Wells Street. Brrr it was cold but they had heaters everywhere and you got right into the Jeep. They had all the elements in Chicago but added two more and made it a blast. Come along and hear me laugh, along with my 15-year-old daughter Meg, who by the way asked go to the show. Great kid. Loves cars, airplanes, and golf. 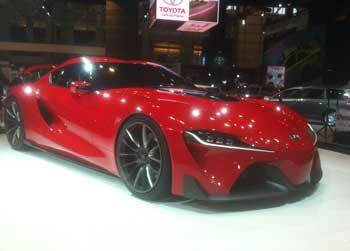 Are you watching coverage from the Detroit Auto Show? 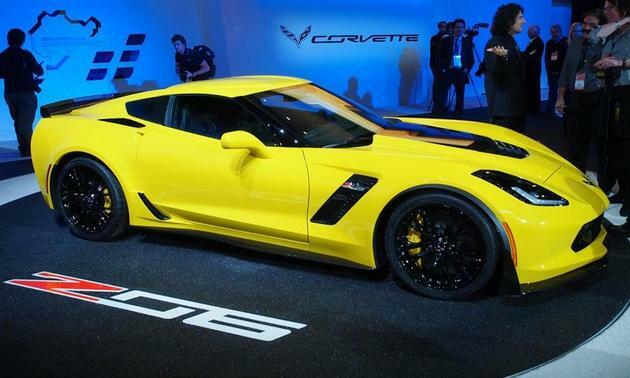 If not, you’re missing some of the coolest concept cars like the Toyota FT-1, Kia GT Stinger, and 2015 Corvette Z06. Boy if these cars don’t get your heart pumping! Mark and I can’t wait for Chicago!